This week we are joined by Mike and Josh from Talk'n Pops. We talk Funko, ECCC, mean convention workers, and hobos doing drugs off of trashcans. Rick and Piper are joined by Mike and Josh from Talk’n Pops. They talk homeless people in Seattle and Everette, ladies in wheelchairs, ECCC and so much more. This episode was a blast and sure to be the first of many. They also discuss line security guards, what they like and dislike about ECCC and why not to drive to Seattle from Texas. Join the PCA next time for another Collectors Series with Jimmy and Tim. Fan Expo Dallas!!! 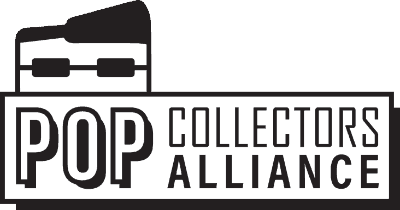 Join the Pop Collectors Alliance, Sully (Funko Funkast) and Mike and Josh (Talk’n Pops) on a trip back in Funko history as the panel shares their stories, experiences, highs, and lows of collecting Funko. It sure to be a fun filled night with friends, games, Q&A and don’t forget the giveaways! Panel will be Saturday May 4th, 2019. More info available soon Get your tickets today at fanexpodallas.com You DON’T want to miss out on this fun! A TON of content for our YouTube Channel! Coming This WEEK!!! Checkout our YouTube Channel! Patron only giveaway is this weekend Saturday March 30th @ 8PM CST for a fun filled night of fun, Funko Giveaways and Friends. Goal for 2019 100 Patrons, referral bonus for patrons. Be our Brand Ambassadors! Discounts, Pop!, or PCA Merch. Rewards for everyone!!! Auctions will return 4/5/2019! Items will be announced on our social media channels and auction will be held LIVE!!! All invoices must be paid within 5 days or item will be forfeit and placed in next auction. More Articles this week! Go to Collectpops.com for all the details. The post EP052 – Having Fun with Talk’n Pops appeared first on AstroPanda.